I love this color combination and all the soft layers, especially when they're accented by itty bitty sweet little hearts and a bow or two. To start this card, I layered some older My Mind's Eye diamond + heart paper, along with some plaid paper from Girl's Paperie over my favorite Rustic White cardstock. I created a little bow using the We R Memory Keepers Template Studio Bow template. I love using this little tool to create a pile of bows, which I can easily add to gifts and cards when I'm in a pinch! Just below the bow, I layered a few hearts, cut using Papertrey Ink's Limitless Layers: Heart Stitches and Limitless Layers: Hearts. At the top of the card, I layered a couple of balloons, stamped and die cut using PTI's Scene It: Celebration stamps and dies. 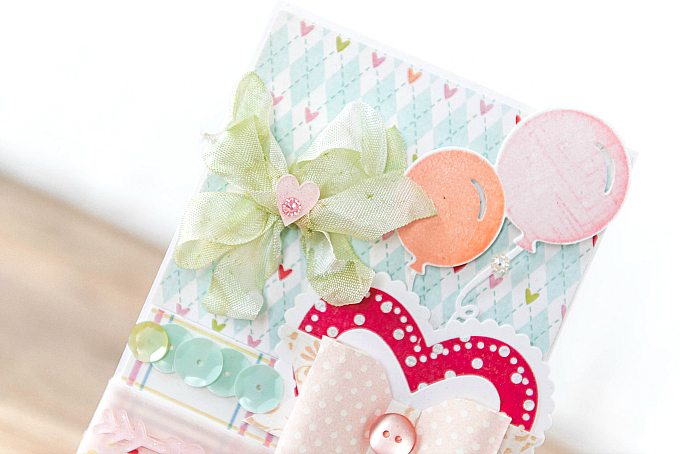 I used colors of Melon Berry, Sweet Blush, and Pale Peony to stamp a distressed look for the balloons. To the side, I added a vintage scrunchy bow, along with a tiny pink heart. 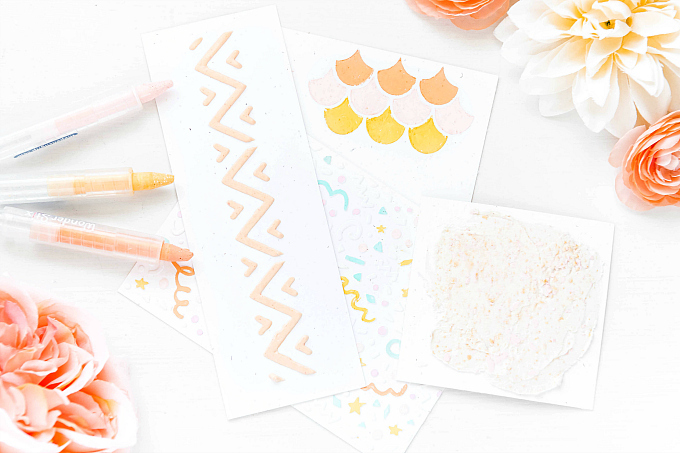 At the bottom, I adhered a couple of pieces of trim - a glittery lavender and a velvety peach - along with a bit of polka dotted washi tape. I used the Wonderful Words: Love stamps and dies for the sentiment, stamped in Melon Berry and Aqua Mist inks. A few sequins, buttons and rhinestones to finish, and this card is ready for a birthday celebration! 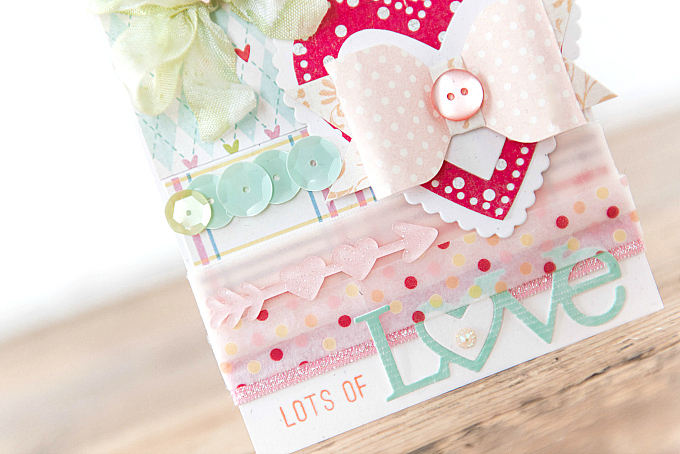 So many sweet details layered on to this little masterpiece! Beautiful card, lovely colors combination! This is so pretty!! I love the balloons-they are so delicate-and the pretty green ribbon that you used. I also like how you overlaid the sequins on each other. Never would have thought of that. Really beautiful card! !